I sincerely hope that Brad Thor is just a great fiction writer because if he’s not, if he’s simply writing the truth, America is in a lot of trouble. According to Black List, the real bad guy is our own government. Worse, the people who are charged with keeping us safe are often in more danger from internal orders than the terrorists they hunt. That was the feeling I got throughout Thor’s book. While it starts out as a great story about secret agents and special ops teams, about double crosses and not knowing who to trust, it quickly evolved into a laundry list of ways that different government agencies with obscure acronyms had the technological means and the legal ability to spy on every single citizen. Special ops agent Scot Harvath, who works for a private company contracted to the government, has eliminated his share of threats to national security. But when his name inexplicably ends up on the government’s secret list of people who must be killed, a list that does not require any warrants, overseers, or justification, he becomes the target. Cut off from his own superiors and not knowing whom to trust, he only knows that every stop on his worldwide game of cat-and-mouse brings with it more people assigned to kill him. It’s so hard to come up with a new premise in the world of espionage literature. Books and films like the Bourne series and authors like Tom Clancy have pretty much given readers the upper crust of thrillers involving cloak and dagger exploits. But what Black List offers up that the others don’t is genuine literary insight into the lives of the many characters who come into play. Throughout the book, I kept switching loyalties every time I met a new face and the story of why he became the person he is. 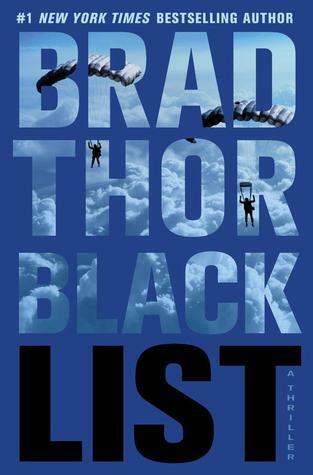 Moreover, Thor, the author of other highly acclaimed titles like Full Black and The Last Patriot, kept me guessing as a reader; while there’s something to be said for a pleasant, straightforward literary read, this one surprised me at every turn. Black List is available for pre-order from Amazon, Barnes and Noble, and other ebook retailers; his previous titles are available in digital formats as well, including from ebook retailer Kobo. The book lost me when it made ridiculous assertions like the current administration was more interested in talking to our enemies then punishing them. Really? Tell that to Osama Bin Laden. The overt conservatism in this book ruins it. Still feel that way Jack?